Americans for Financial Reform American Federation of Teachers, the NAACP, Democracy for America, and the Center for American Progress were joined by Sen. Sherrod Brown (D-OH) in backing stronger provisions of a proposed rule by the Consumer Financial Protection Bureau (CFPB). The rule, requiring payday lenders to determine that a borrowers can actually repay the loan, is aimed at ending what the groups call an endless cycle of debt. In many cases, the borrower is unable to repay the loan two weeks later, when it is due, and must take out another loan – then another. Brown joined the groups in urging consumers to take advantage of CFPB's comment period on the proposed rule to urge the strongest possible regulations with no loopholes. At a news conference at the Capitol, Randi Weingarten, president of American Federation of Teachers, said low income consumers need some kind of access to credit, but said common sense should prevail. If someone is in need of a loan to meet an emergency expense, how are they expected to have the money to repay the loan two weeks later? Payday loans normally carry a flat cost per $100 borrowed, with the money due in two weeks – usually when the borrower gets another paycheck. The fee might sound small, but since it is the cost of a loan for two weeks and not one year, the annual percentage rate (APR) is often well over 300%. Hilary Shelton, Washington Bureau Director & Senior Vice President for Advocacy at the NAACP, says payday loan storefronts tend to be clustered in low income neighborhoods and areas where ethnic minorities live. 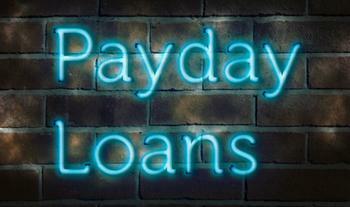 She said payday lenders target those who can least afford a predatory loan. The CFPB rule would place tighter federal controls on payday lenders, but many consumer advocates have argued the rules should be even tighter. After CFPB unveiled the proposal last month, the Pew Charitable Trust said it needed a tweak. Nick Bourke, director of Pew’s small-dollar loans project, said additional provisions should include lower prices, manageable installment payments, and quick loan approval.